Honoring Excellence in the Apartment Industry! The Crowne Excellence Awards will take place on Saturday, November 17th at the Hyatt Regency Lexington. There will be cocktails* from 6:00PM - 7:00PM and the Gala Program will begin promptly at 7:00PM. 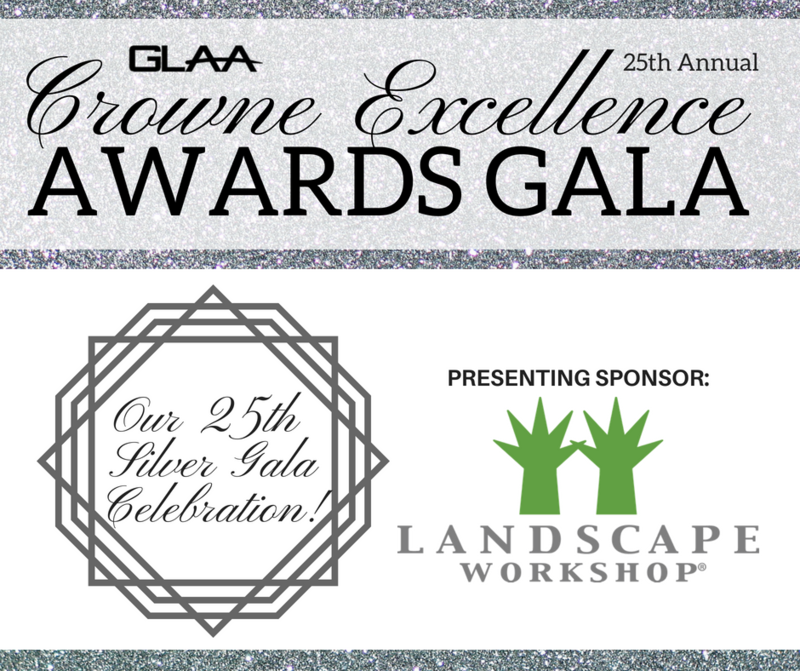 Program will include: Dinner, Installation of Officers, Crowne Excellence Awards, Silent Auction & more! Geno’s Formal Wear will rent tuxedos for $50 or $55 with shoes. For more information, call 859-276-1461. Hyatt Regency Lexington will offer rooms at a special rate of $133. Cut off for this rate is October 27th. To reserve your room, call 1-800-233-1234 & indicate your GLAA affiliation. *Please remember that the Hyatt Regency is CASH BAR only and no credit cards will be accepted for drinks that night. Also, if you have dietary restrictions, please advise when reserving your ticket for the event. A special menu can be put in place for you but we must know before the night of the event in order to accommodate. Registration is now closed! | Contact the GLAA Office at 859-278-6540 with questions.